Looking at the title may cause one to think that this database only includes Missouri. That’s incorrect. While there are records from as early as 1848 and as late as 1990, don’t think that “time”coverage is complete for all geographic areas that are included. These digital images are of index cards created by the federal government and are not the actual record. 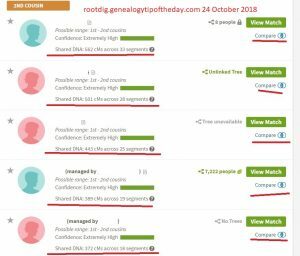 This index was created to help individuals locate copies of their naturalization records–not to serve as a substitute to those records and not to help genealogists. 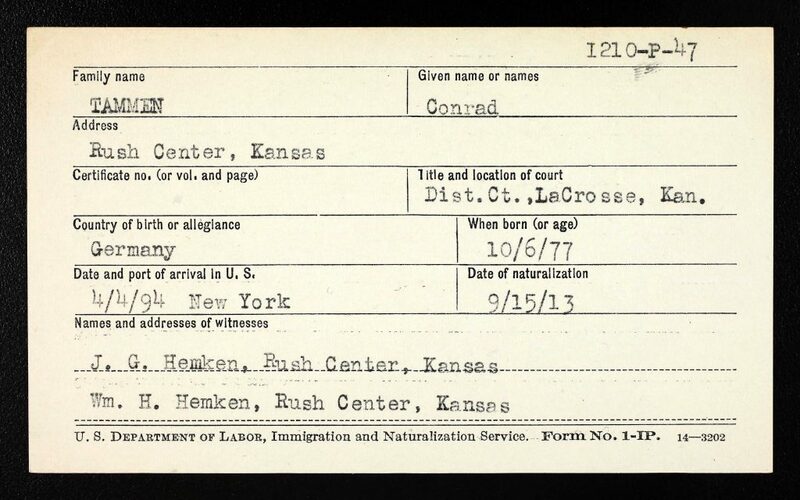 Ancestry has digitized these cards and indexed them (hence creating an index to the index). These images were created from items in Record Group 21: Records of District Courts of the United States, 1685 – 2009 with National Archives Identifier 572253. Although this series was first created sometime after 1930, some material in it dates back to 1848. There is a gap in the records from 1964 to 1983. Most index cards are Immigration and Naturalization Service Form 1-IP. The form includes the following information: family name, given name, address, certificate number or volume and page, title and location of court, country of birth or allegiance, date of birth or age, date and port of arrival in the United States, date of naturalization, and names and addresses of witnesses. The back of the form may include information concerning cancellation of certificate, expatriation, and other facts of record. The informational page from which the three preceding bulleted items was taken is https://catalog.archives.gov/id/572253. Never take a title at face value. And don’t be surprised at who you find (and don’t find) in these records. And remember that these cards are a guide to the actual record–not a substitute. Always look at the next image in this database–sometimes comments were writtten on the back of the cards as well. This entry was posted in Uncategorized and tagged Western District Naturalization Index. Bookmark the permalink. Michael–Referring to your citation at the bottom of the card in the image: LaCrosse is 30 miles from my hometown. It is a town not a county. The county LaCrosse is located in is Rush. Thanks, Wilma. I’ve made the correction. I should not have assumed it was county. Thanks for catching that.